Slice it, load it, store it, clean it. 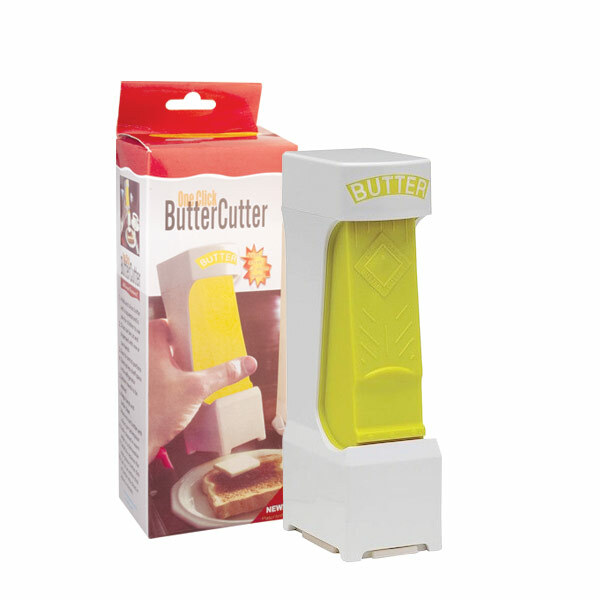 New patented Butter Cutter is a one-click easy aid for the visually impaired and blind with many great features! It holds and slices butter with just a squeeze. Slices can be cut and dispensed with one or two hands. Cuts an entire stick of butter into slices in a minute! Easy to control portions: measures out butter with 4 slices per tablespoon and fits the most common, standard 5 inch long 1/4 pound bar of butter. Keeps hands and butter clean and seldom needs to be washed. Easily cleans in warm water or dishwasher. Measures: 8 H x 2 1/4 W x 3 1/4 D in. Instructions included.